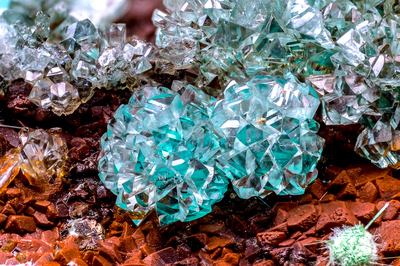 Spheres composed of prismatic crystals of light green color, while the top part presents a darker green color. They grew on adamite crystals, completely covered with ocher material. Collection and photo by Gianfranco Ciccolini.